At St Brigid’s we have 3 expected behaviours that we believe make our school a safe, respectful, friendly and positive place to be and to learn. How do we demonstrate these behaviours? Classroom Verandah’s, the Undercover Area and the Playground are “Safe Ball Free Zones”. 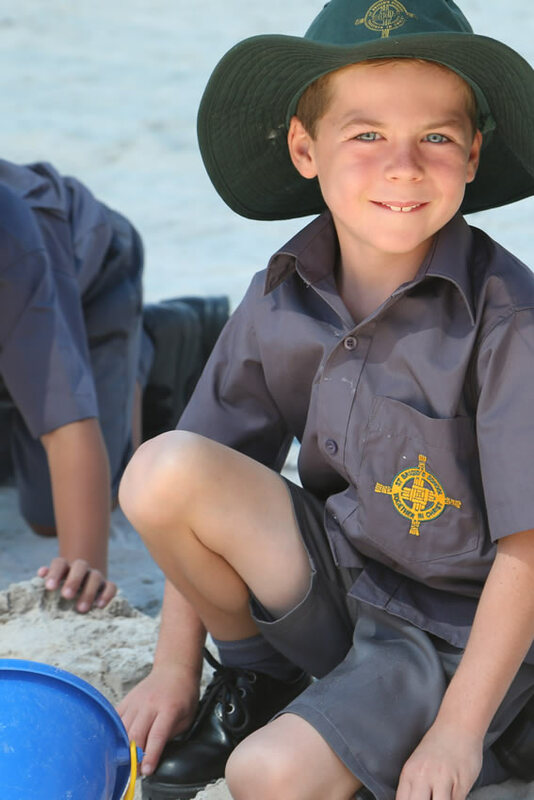 Classroom Verandah’s, the Undercover Area and the Playground are “Safe Ball Free Zones”. Four Square for Year 1-3 can be played on the Hopscotch block. When school expectations are not met the Duty Teacher will have a “Time Out Talk” with the student. This involves the student walking with the teacher (for a length determined by age and action) while the teacher reinforces the reason for the rule and why we believe it is important. The Leadership Team will be contacted if further support or action is required.